Amy West has more than 15 years of experience as a physician assistant working in family medicine, acute care, and pediatrics, as well as, three years instructing health care professionals. She joined Dermatology Specialists of Florida in 2016 bringing with her extensive surgical and operating room experience. Amy earned her master’s degree in physician assistant studies from the University of Nebraska Medical Center, in addition to earning a master’s in education and policy studies from the University of Texas at San Antonio. 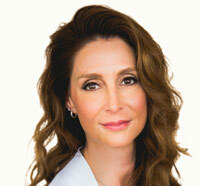 She is a member of the Florida Association of Physician Assistants and the American Academy of Physician Assistants. Amy is also proud to have served our country for 25 years in the United States Air Force.